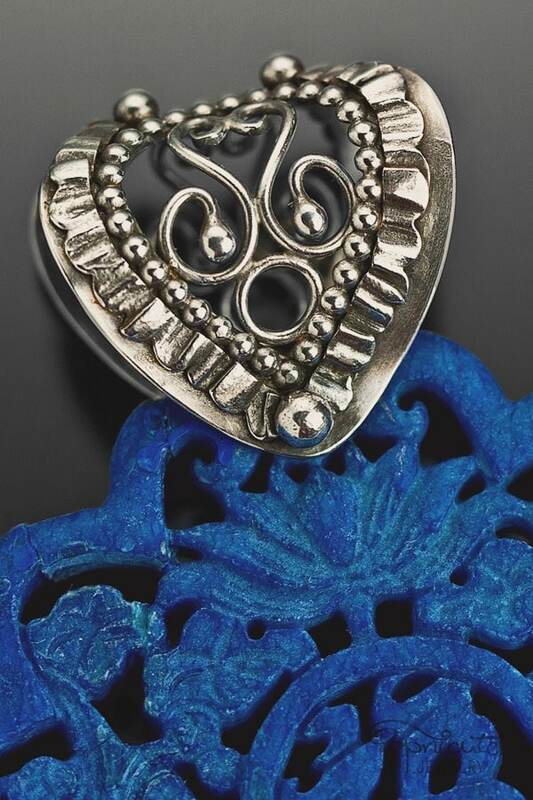 Featured on the right is a custom heart pendant in mixed metal. Can a piece of jewelry show your true personality? Do you need to add a little drama to your everyday outfit? 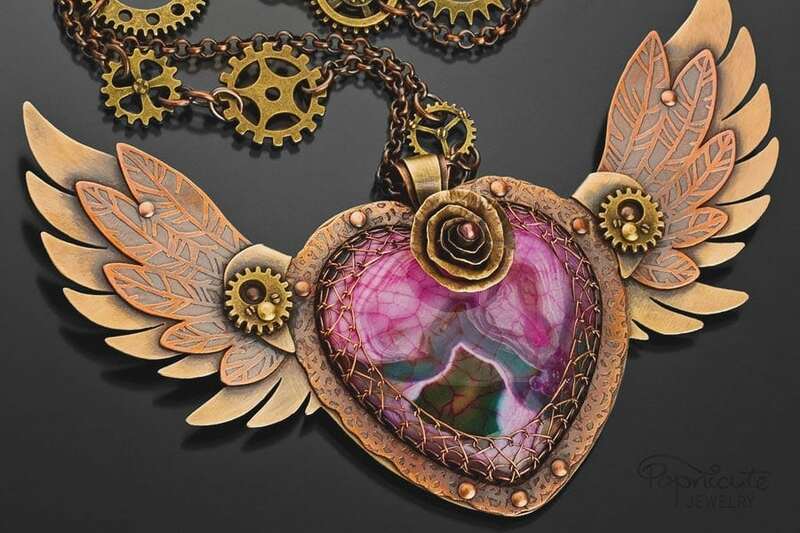 What about wearing artistic one of a kind jewelry that no one else has? Have you ever wished there was a designer that could create your dream jewelry? With my unique vision, your dream jewelry comes to life. 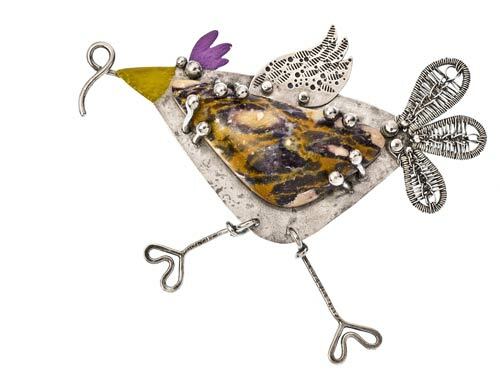 My mission as a Dream Visualist is to bring joy to adventurous and quirky individuals like you by making whimsical art jewelry that empowers your creative soul and will become a part of your legacy. I want you to feel inspired when you wear Popnicute Jewelry: feeling confident, positive, and beautiful knowing everything you do will go right. With every texture and layer, I infuse a little bit of happiness on each piece I make. 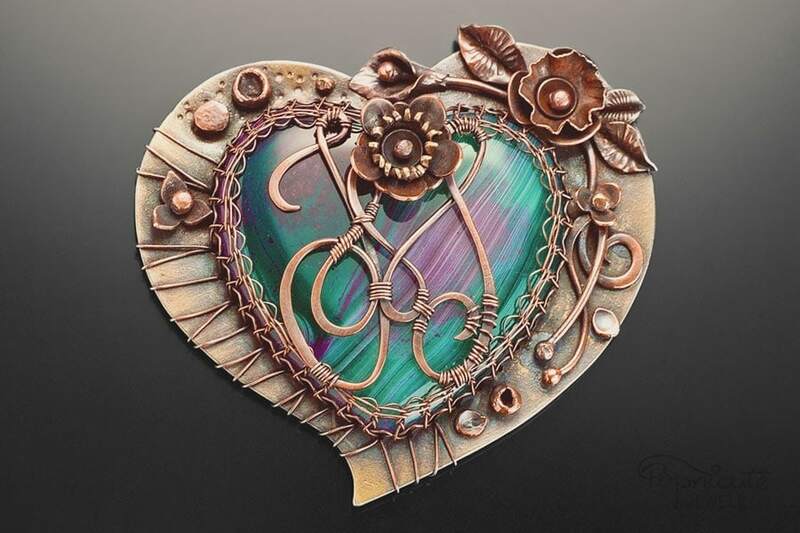 ♥ Let me create a custom art jewelry like none other just for you! Depends on the time of order, a custom piece can take up to 90 days or more to make. Plan early especially around holidays! A minimum budget for the first custom order is $250. What type of jewelry would you like designed? Please describe the piece in detail. Link me to your inspiration pieces (if any). Who is this piece designed for? Can you tell me a little bit about the above person? I.e: lifestyle, hobbies, career, activity level, interest, taste, fashion style, favorite colors, etc. How did you hear about Popnicute Jewelry? Who can I thank for the referral? Having problems with this form? Fill the form here or call 1-217-316-5351. Aa s true rose aficionado, Michi wanted a rose ring to go with her necklace and bracelet. 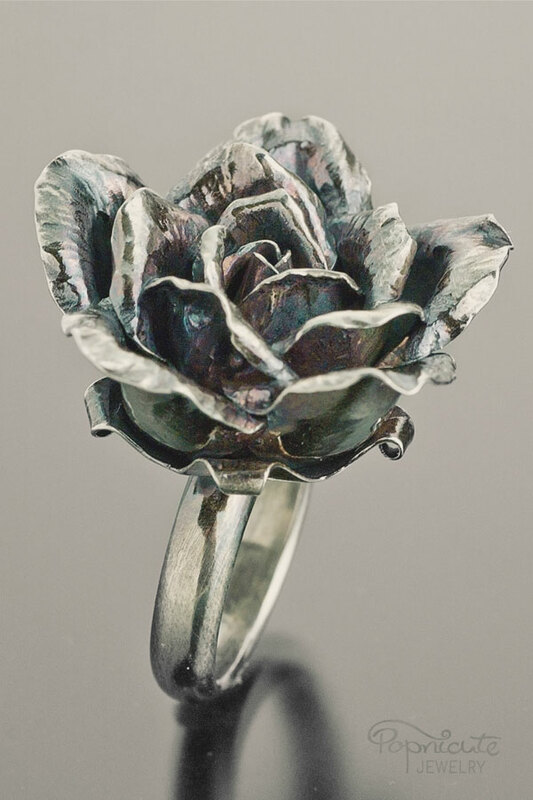 That's how the Camilla Rose ring was born. Ling from Singapore, who is a fan of anime and manga, wanted a winged heart for herself, so a Popnicute styled manga-inspired heart she got. A decorative bail created from sterling silver commissioned by my cousin in Indonesia to hold a carved lapis lazuli pendant. Mamush came to me with a heartwarming story to propose to his Joan with this heart as the token of his love. 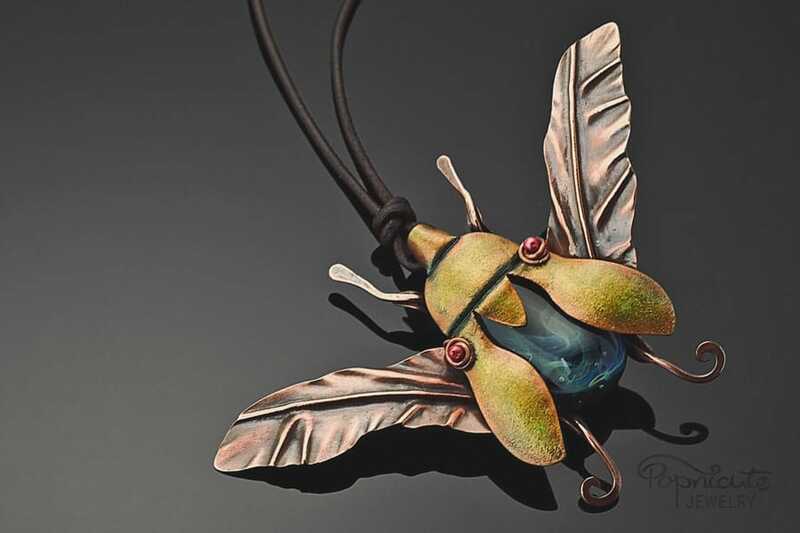 This Jewel Beetle pendant was requested by my husband and it won a Second place at the international 2014 Foldforming Competition. My husband got good ideas. 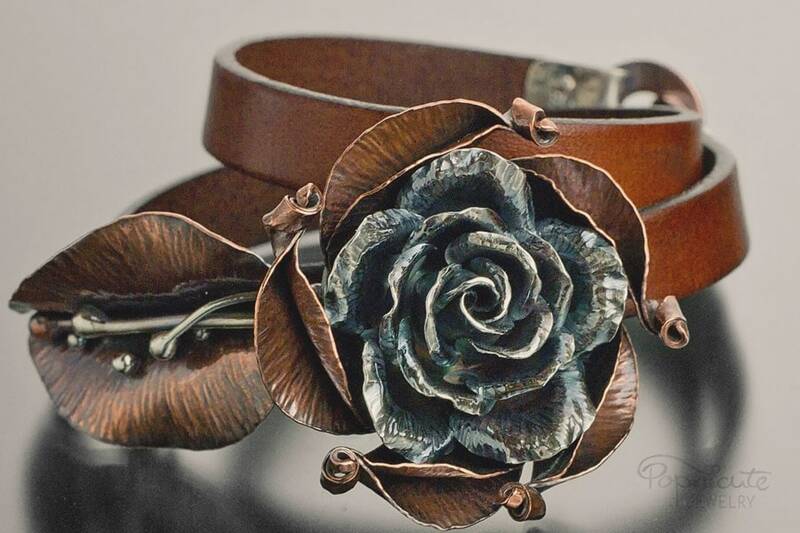 Camilla Rose bracelet made for a client of mine who absolutely love roses. This is a part of a 3 piece jewelry set. I highly recommend this artist! I recently received three gorgeous custom-made pieces that just blew me away! Thank you so much, Kharisma! 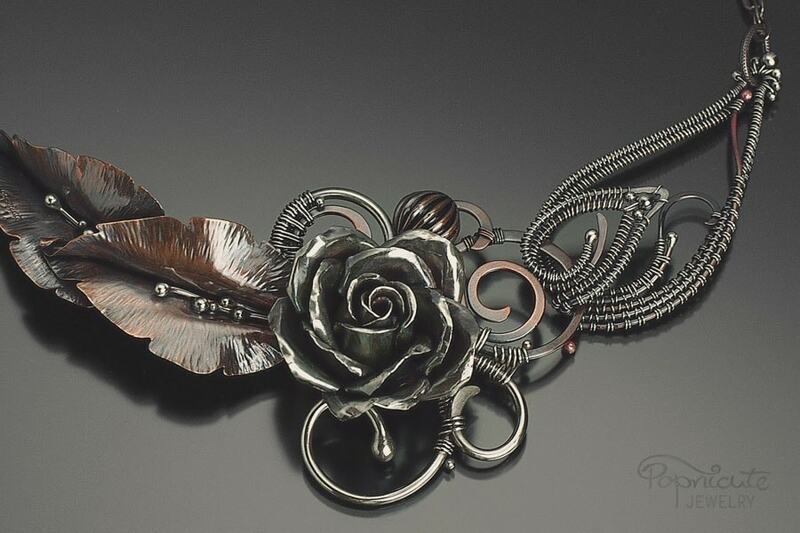 The pod necklace you made for my mother-in-law is just absolutely stunning! Your attention to detail is just amazing! I also LOVE my bracelets! Again, just beautiful pieces! I cannot wait to see my Heart of Michi!! Thank you, thank you, thank you! 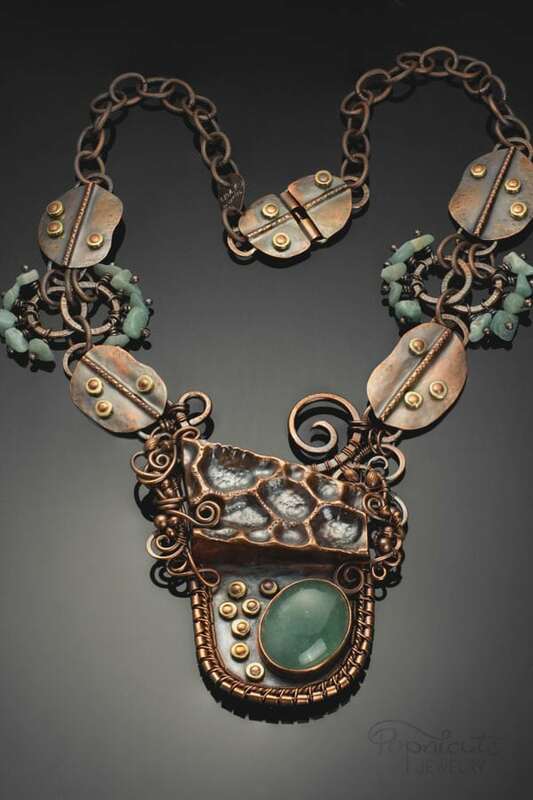 After buying and commissioned me of many smaller pieces, this time, Donna from Florida wanted a larger than life necklace to wear. She sent me a broken Aquamarine ring of hers that she bought at Santorini island many years ago for the stone to be reset in her new necklace. This is what I came up with 🙂 She was elated! Eila came back to me with a new project. This time it was an aromatherapy pendant. This one has a really cool drawer to store the leather. It's an interactive pendant that's perfect for a fiddler. Watch it in action on my Facebook page. Michi asked me to make her a rose necklace. Later on she ordered a second one to give to her BFF as gift. 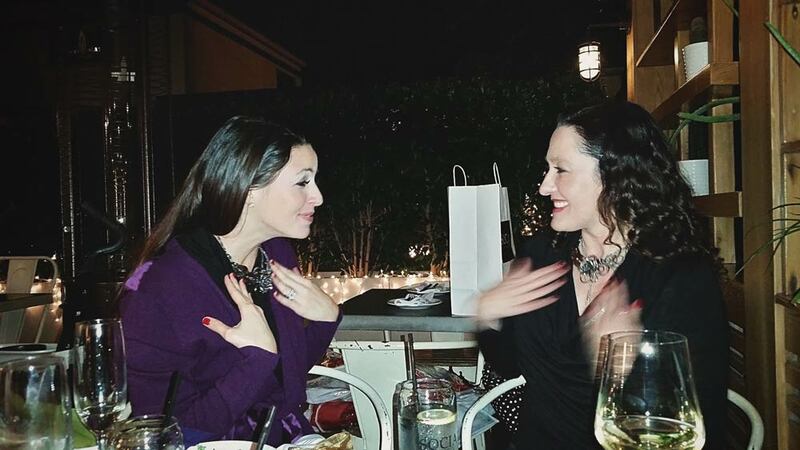 Look at how happy they are at the gift reveal for the Camilla Rose necklace! Eila is a huge fan of the game League of Legends, especially the character Nami. Besides being a fan of the game, she's a self-declared long fan of Popnicute Jewelry. 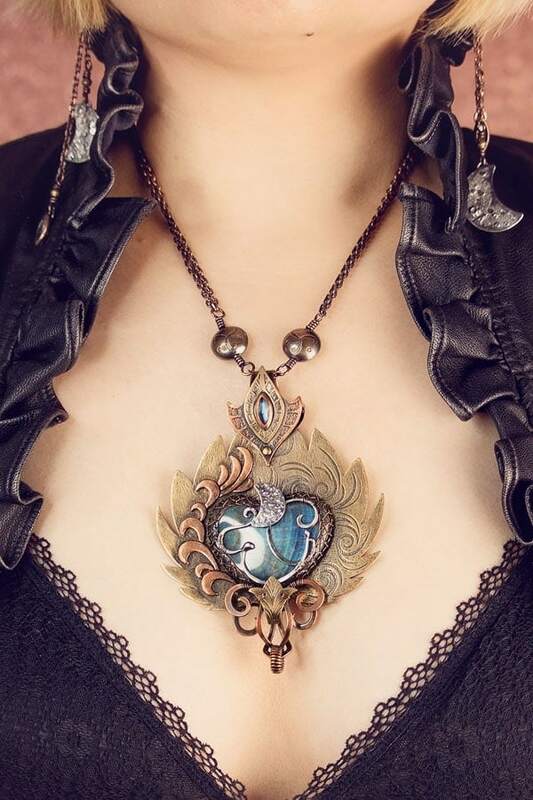 I made this heart necklace for her. 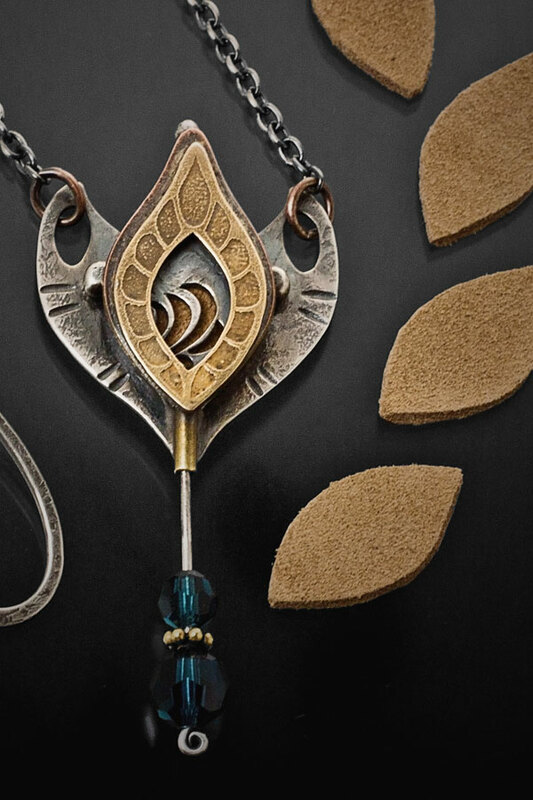 The frame shape was inspired by Nami's tidal staff while the bail was inspired by her headdress. Someone liked seahorses so much she commissioned me to make her a seahorse heart necklace. 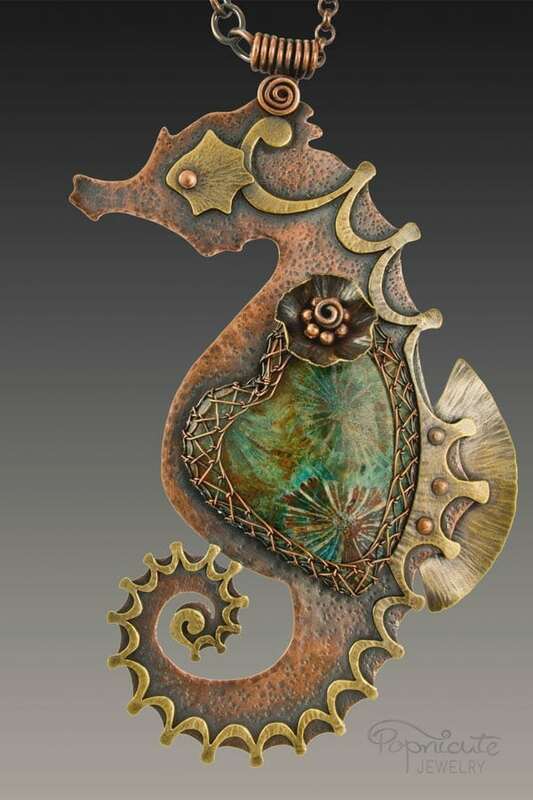 Now she's a lucky person to own a one of a kind seahorse heart. 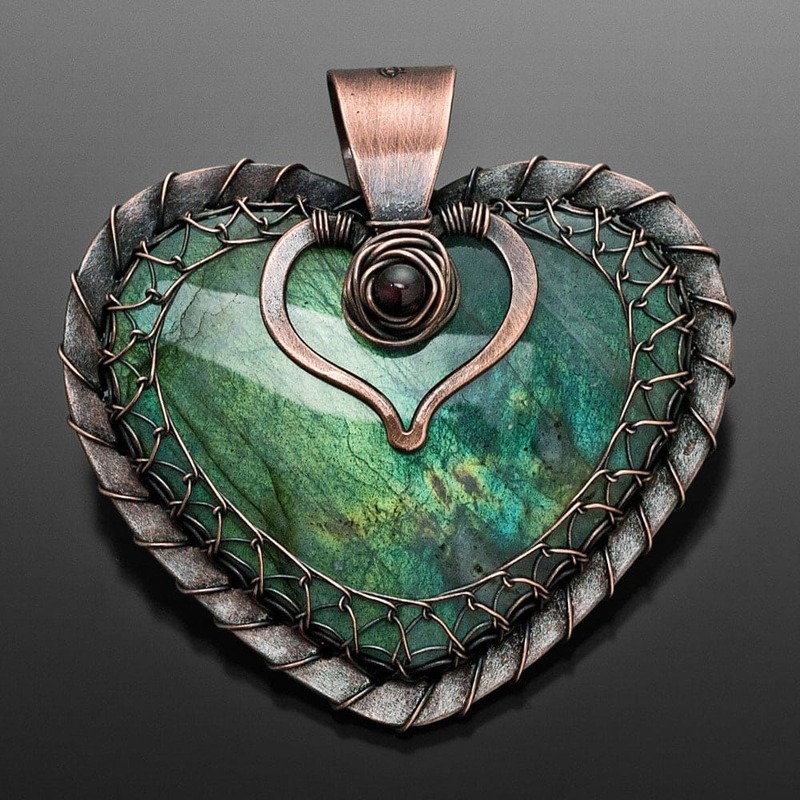 The coral fossil heart is a true match for this sea-themed pendant. Kelly commissioned me two hearts at once. The other one has a cross on it and this one got a gorgeous green labradorite. Check out these Popnicute Hearts in action! Take a peek inside Popnicute’s world of wonder. Want one? Fill out the form above. Not quite ready for a CUSTOM jewelry?